The Nigerian Army today confirmed the arrest of 1240 suspected Boko Haram militants during the final mop up operation inside the Sambisa Forest. This was made known by Lafiya Dole Theatre Commander Major General Lucky Irabor in Maiduguri today. Irabor also revealed that 30 fleeing Boko Haram members surrendered in Niger. Irabor added that Army recovered Abubakar Shekau’s Quran and flag in Camp Zero area of Sambisa forest. Mchew, so the man is still alive? ???????????? Is it Shekau 2 or 3 or 4 since we have been told the man died so many times in years gone by ? every time Boko Harams member arreted but never try i court for one day never hear of their convictions. This is the new lies the want us to believe and take to 2017. 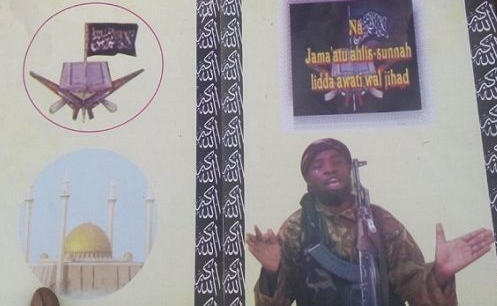 Tomorrow now you will see Shekau waving another flag with thesame book they claimed to have recovered from him. Again if the arrest is true, what do they want to do with 1240 bh‘s members? Feed them with our tax payers bill? Cos one thing is sure here, after they have killed thousands in cool blood and some of their victims were tortured to die painfully, I am very sure they are not going to kill or even make them pay for their actrocities as far as Nigeria is concern. They will only jail them briefly and set them free as any normal people.